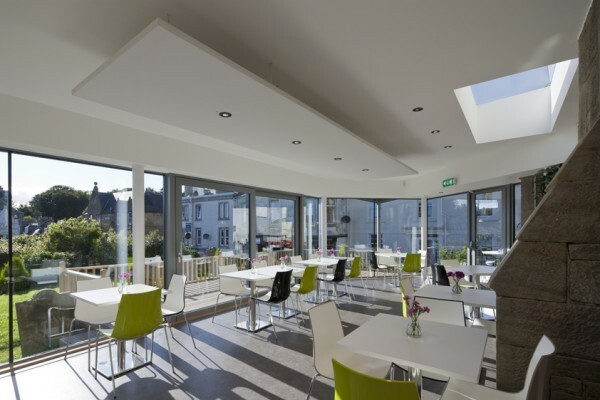 A few weeks ago this new restaurant and takeaway, The Corner Cafe, opened on the corner of Hunterston Road and Main Street in the Craft Town of West Kilbride Ayrshire, Scotland. My husband took me to lunch there recently. The takeaway enters from the Main Street while the restaurant is entered from Hunterston Road. When we went in, I was very impressed with the bright modern decor. Also, you can see into the kitchen. I like this, it is clean, tidy and well organised. The Corner Cafe was busy when we arrived for lunch but we did manage to get one last table for two. The table was a decent size, so many modern restaurants have tiny tables for two people. We were also pleasantly surprised by the menu. 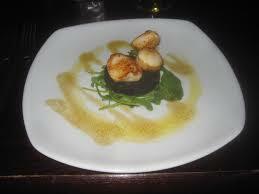 There were imaginative specials, a variety of light meals and a generous choice of main meals. I was impressed that there was a choice of meals for vegetarians too. My husband swithered with having the fish but finally decided on one of the specials, the chicken caesar club sandwich with fries and extra onion rings. He enjoyed the meal very much. I chose the vegetarian cous cous with roasted vegetables. It was a most unexpected vegetarian option and delious. The portions were generous and there was a lovley choice of cakes and desserts. I am also impressed that the access for disabled people is excellent. The Corner Cafe is a new venture. I recommend it and wish it success. My friend Anna and I had a lovely day out to Dumfries House, Cumnock, Ayrshire, Scotland. It was my first visit although Dumfries house is on of Britain’s most beautiful stately homes that was saved for the nation by the personal intervention of Prince Charles the Prince of Wales in 2007. The house and estate is now owned in charitable trust by The Great Steward of Scotland’s Dumfries House Trust, which maintains it as a visitor attraction and hospitality and wedding venue. Both the house and the gardens are listed as significant aspects of Scottish heritage. The 18th century house is set in lovely grounds and combines the neoclassical architecture of Robert Adam with the furniture of Thomas Chippendale. The refurbished blue bed is a stunning work of modern and classical craftsmanship. We sampled coffee and cake at the visitor centre before touring the house and grounds. The baking was fresh and the scones the most enormous I have ever seen! We enjoyed the bright, freshly decorated cafeteria. There were many tables and it was well appointed. We enjoyed exploring the grounds and the playground is delightful. We only wished we had a child with us to enjoy it too. On our visit around the house we were entranced by the quality of the restoration and the beautiful, original furniture that has been saved by Prince Charles. He has secured employment for many people in and around Cumnock. This is an area of Scotland that suffers from serious unemployment and a lack of investment. I paticularly liked the yellow room in the house. It was so bright and light and cheerful. The collection of Chippendale chairs in this room is splendid. Anna enjoyed the blue room with its cool colours and original furniture. After our tour of Dumfries House, we stopped for lunch downstairs in the original kitchen and servants’ working area of the house in the basement. The cutlery and table furnishings were beautiful. We were served vegetrian parsnip soup, made from produce grown in the grounds. There was also a selection of sandwiches with various fillings. Biscuits and cakes finished off the meal. Some of the sandwiches and pieces of cake tasted slightly stale. that was disappointing. I suspect they are cut early in the day and uncovered until served, at whatever time of day. However, after lunch we took another tour of the grounds and visited the walled garden. The beauty of the house, grounds and the stylish walled garden far out-weighed the slightly dry cake. I would defintely visit Dumfries House again and, be happy to sample the offerings in the cafeteria. Also, if I were there in the middle of the day, I would make my way to the basement for lunch. I highly recommend Dumfries House. 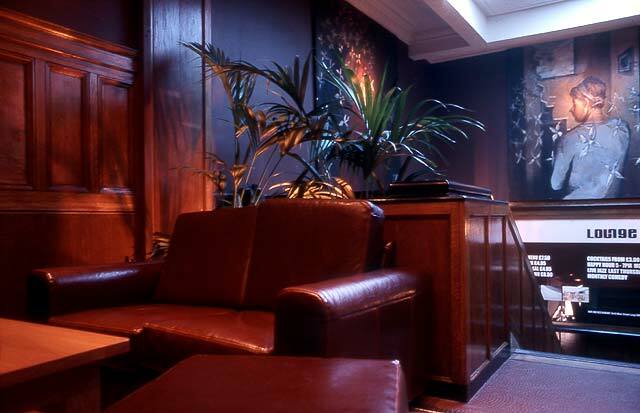 Lounge is a stylish venue in the centre of Largs, Ayrshire in Scotland. It combines a restaurant, bar, outdoor terrace and nightclub. My husband and I went there recently with friends for dinner. What a lovely evening we had! The restaurant at Lounge specialises in contemporary Celtic cuisine with menus and strives to use the very finest local products. Although the bar was not busy, we chose to go straight through to our table and have our pre-dinner drinks there. They were all perfectly chilled and served. The dining room is carefully lit and the service was impeccable. The table are also far enough apart or separated by furnishings to give diners some privacy. We chose a selection of starters. Two of us went with the black pudding and haggis fritters, one with the garlic mushrooms and I chose a side salad of mixed greens and walnuts with shavings of parmesan cheese. My salad was really tasty, indeed we all enjoyed our starters very much. With our main courses we ordered more drinks. Again, these were perfectly chilled and nicely served. I am vegetarian and there were sufficient numbers of choices for me. I opted for beer battered halloumi with salad and french fries. My husband and one of our friends chose the steak pie while our other friend went with a burger which was served on a large wooden platter. The meals were all freshly cooked, and very tasty. We all thoroughly enjoyed them. Somehow or another, we managed to make room for pudding. Lounge is unusual as it offers smaller portions of several deserts. I chose a small size brownie. It was beautifully served and just enough to finish my meal. One of our friends chose the cheese cake, which he really enjoyed. The others had sticky toffee pudding. This amply lived up to its name. Our after dinner coffees were served after our puddings and were all as ordered. We all really enjoyed a leisurely meal. The service at Lounge was efficient and courteous. Altogether we had a lovely meal and a great evening. I will certainly look forward to going back to Lounge. Excitement ruled in our family. Our elder daughter had announced her wedding and weeks thereafter my husband was to be installed into the chair of his Free Masons Lodge, so with many formal events to attend in the near future, he decided to invest in a kilt and I was roped in as a second opinion when he went to MacGregor and MacDuff,205 Main Street, Prestwick, Ayrshire KA9 1LH, Scotland. When he went to try on his finished outfit, he looked so smart. To celebrate he took me to lunch at The Prestwick Pioneer. It is a Wetherspoon’s pub, so we were expecting cheap and cheerful. 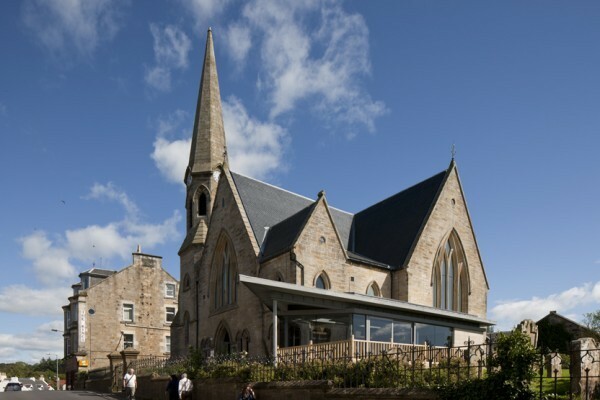 Unlike many Wetherspoon establishments that are situated in converted banks or other old buildings, The Prestwick Pioneer is a bright, glass fronted building with easy access from the street for those who are disabled or with mobility problems. It has light, modern furniture and a generous supply of coffee from self-service urn. As my husband would happily main-line coffee he was a very happy man. We both chose burgers. I had a veggie burger and he had a cheese burger with added bacon. They were served with salad vegetables and chips and we treated ourselves to a small portion of onion rings to share. We both enjoyed our meals. The staff in The Prestwick Pioneer were very pleasant and the whole place, including the lavatories, was kept spotlessly clean. We really enjoyed our visit here and it delivered exactly what we had expected: a good hearty hot meal at reasonable prices. If that is what you are looking for, you will not go wrong here. I had never been to any part of the Emerald Isle, so when my friend Ann and I had a chance to visit Belfast, in Northern Ireland, UK we grabbed it with both hands. We went by road in Central Scotland through Ayrshire, Dumfries and Galloway and on to the village of Cairn Ryan where we got the ferry across to Belfast. The crossing takes two and a half hours, but the ship is big with shops, a small cinema screen and cafes and restaurants to divert you. Our first stop when we landed in Belfast was to visit the world famous Titanic Museum. It is situated in a lovely building and very well laid out. The Titanic was built in Belfast. The ship was the most celebrated of its day but sank on its maiden voyage at 2:20 a.m. on April 15, 1912. It sank into the North Atlantic Ocean about 400 miles south of Newfoundland, Canada. The massive ship, which carried 2,200 passengers and crew, had struck an iceberg two and half hours before. The exhibits include artifacts from the stricken ship, oral and visual displays, a ride showing the construction of the ship and brief biographies of some of the survivors and some who were lost. We spent easily two hours going around the museum. We could easily have stayed longer but decided we would benefit more from another visit rather than trying to take everything in at one go. At this point we went to find a cafe for a cold drink. 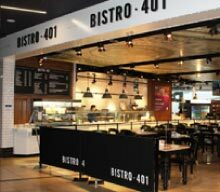 Bistro 401 is the restaurant within the museum. We were very surprised by the variety of freshly prepared food. It all looked delicious and we were sorry that we were not there at a meal time to sample more of the fayre. However, Ann did choose to be tempted by a cream scone and I had a piece of cake. Ann felt the scone was a bit more filling than she expected. My cake was light as air and went down far too well. The restaurant offers counter service. The staff are very pleasant. The venue is clean and the tables better spaced than in most bistros. I plan to visit the Titanic Museum in Belfast again to explore it further. I enjoyed it very much and highly recommend Bistro 401. In the Main Street of West Kilbride, Ayrshire, Scotland just around the corner from the train station, is the former Barony Church. This has been reclaimed for the community by the work and efforts of Maggie Broadley and her team ably assisted by Lottery Funding and local charities. The building now houses a craft centre, exhibition centre, craft shop and cafe, Barony Bites. I have attended The Barony Centre for a book launch second publication by the late Mary Strick, Warthog Hotel. I preformed there with a singing group last Christmas and have visited to enjoy displays and exhibitions. I have also found wonderful, unique presents in the craft shop. The shop is run by a dedicated group of cheery volunteers who greet every visitor. However, when I meet friends to go to the Barony, we usually go to the Barony Cafe. Barony Bites is run by Sheila Maxwell who secured the franchise when The Barony Centre opened. They are welcoming and friendly. Nothing is too much trouble. They even kept smiling on the day my singing group accepted their invitation to sing to them and lost them 2 customers! I really did not think we were that bad! Their fare, although restricted, is all freshly made. It is open 7 days a week and the surroundings are bright, even on grey days. This cafe is well worth a visit. I am sure you will enjoy The Barony Centre as a whole and Barony Bites in particular. Note: Barony Bites Closed on 28 March 2015. 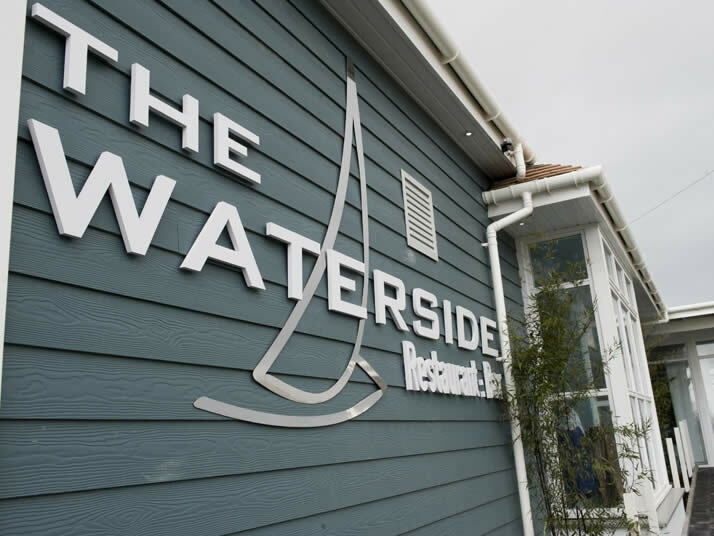 I went to the restaurant the Waterside, Ardrossan Road, Seamill, Ayrshire, Scotland for lunch with friends today. I had previously been for coffee when it opened in 2011 and had been disappointed. However, I had been told it had improved. It had need. The interior of the restaurant is beautifully designed. 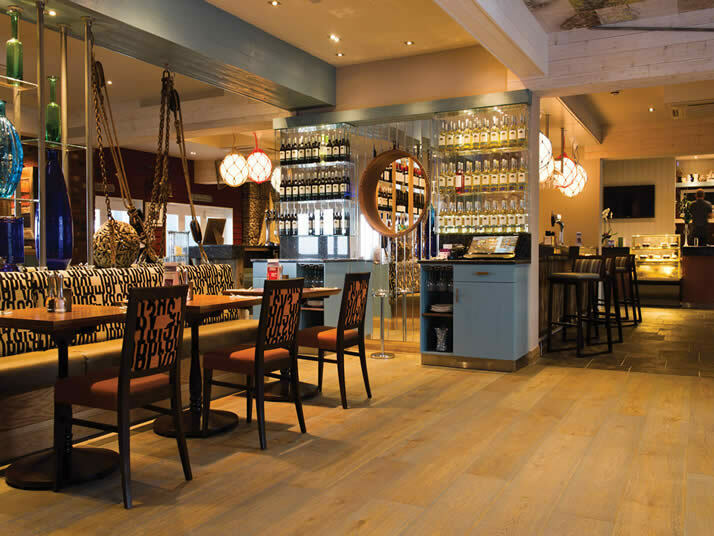 From the moment you walk through the door at the Waterside there is an immediate wow factor at this stunning, bar and restaurant. 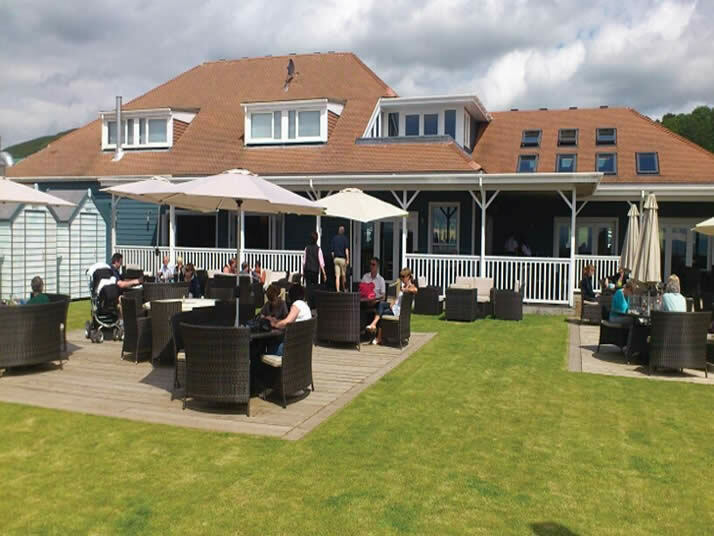 It also has a wonderful water’s edge location with panoramic views out to the Isle of Arran in the River Clyde and extensive menu choice to suit every palate. However, as a vegetarian, I have to say the choice is sparse, although the quality of the food is good. The design is based on stunning Cape Cod, New England, style and makes for an interesting place to dine out or simply relax and unwind after a busy day at the office. When the sun is shining there is no better place than the private garden and covered veranda area where a delicious alfresco food is available throughout the day. Today I had the vegetarian fajitas followed by a chocolate fudge sundae. My friends had a variety of beef and chicken dishes followed by lemon meringue pie and warm chocolate pudding. We all thoroughly enjoyed our meals. The service was courteous and timely. All in all it was a lovely afternoon and I will go there again. The cost for lunch was above average for this area, being £22.50 per head, including drinks. However, the Waterside experience affords customers the chance to watch meals being prepared through the kitchen’s open pass. Other culinary features include the Robata grill and fresh fish ice display. 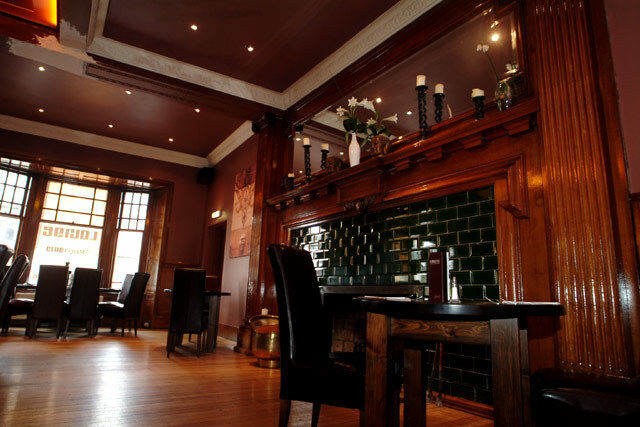 It is lovely to have somewhere special to dine locally. I look forward to using the Waterside again and highly recommend it.